Twitch just announced the release of Clips, a system that works almost identically to the widely popular Chrome and Firefox plug-in Oddshot. 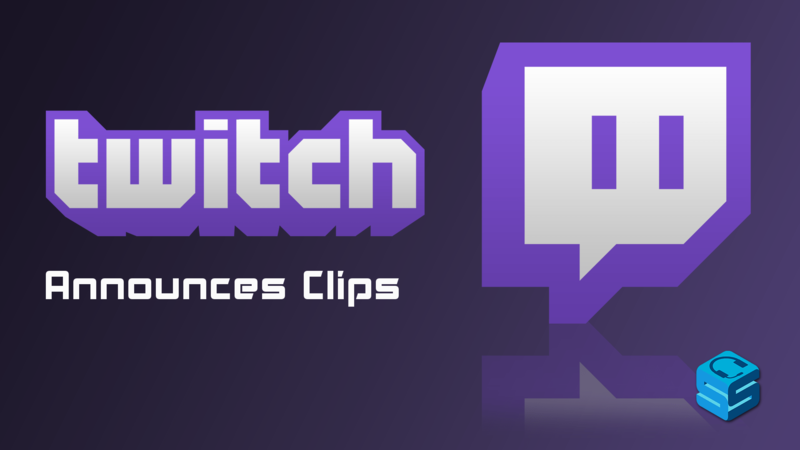 The Clipping feature will allow you to instantly capture the past 30 seconds of any broadcast and share it with the streamer, viewers, and on social media. To capture a Clip, you simply have to click the “Clip” icon in the bottom right of the video. From the point you clicked the last 25 seconds, and the next 5 seconds, will then be Clipped and will then be opened in a new tab ready for replay in a few seconds. From there you will be able to share the Clip with others. Now, the cool thing is, those who watch your Clip will then be able to continue to watch the VOD if they want to, or they can jump into the live broadcast if the streamer is still live. They can even follow the streamer direct from the page. The feature is currently only available on select partnered streams, but will be making its way to all streams in the coming future. So, you will be able to relive that hilarious or epic moment over and over again. However, as soon as you close the Clip window it will be lost, so be sure to copy the link to the Clip before closing! There is also no limit to the amount of Clips you can create, so you can Clip away to your hearts content until you have that perfect 30 seconds.